In Hawaii, you can either buy a car from a private seller or a car dealership. If you buy a car from a private seller, you will handle all the required paperwork yourself. But if you buy it from a dealership, they will handle the paperwork on your behalf with your Hawaii DMV. 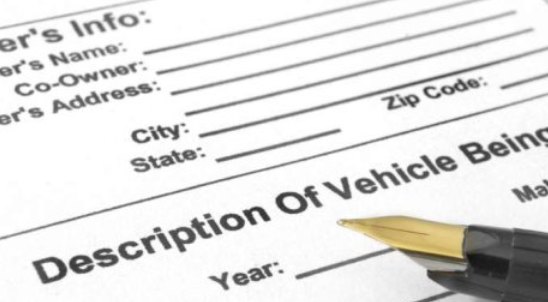 No matter where you buy the vehicle from, paperwork is needed to register and title the car. Continue reading this article to get more information about paperwork required when buying a car in Hawaii. Before making any payment, make sure there is no registration stopper on the vehicle. You and the seller must complete and sign the bill of sale. You and the seller must also sign some parts of the title, which include odometer reading, name and signature of the seller along with the date and Lienholder information, if required. Obtain a safety inspection certificate and registration card from the seller. Visit a local Hawaii vehicle registration office within 30 days of vehicle purchase to register and title the vehicle in your name. You must pay the required fees, which vary by vehicle type, location, purchase price and other factors. For Honolulu County residents, use Honolulu Motor Vehicle Fee Inquiry online. For Maui County residents, contact your local branch of the DMVL. For Hawaii County residents, contact the Vehicle Registration and Licensing Division office. For Kauai County residents, contact the Motor Vehicle Registration (MVR) at (808) 241-4200. For information on how to buy or sell a vehicle without a Title, contact your local Hawaii Motor Vehicle Registration office. If you are a seller, you may be asked to apply for a duplicate copy of the title before selling the car. If you are a buyer, be wary of vehicles without titles. You actually need a title to provide proof of vehicle ownership if any question arises challenging the legality of the vehicle in your hand. A bill of sale is not required during vehicle registration and titling. However, this document is required for your own records. You can use it to show proof of vehicle ownership when asked to do so by authorized authorities. Damaging events, such as flooding. A vehicle history report can protect you from misleading sellers and vehicle frauds. This report protects you from purchasing a vehicle full of problems.